Back in 2014, Steve Sherwood organized a spindown contest that was a lot of fun. Comparable models were pitted against each other and judged on how long it took them to quit spinning once power was shut off to them. Is there any interest in resurrecting the contest for Fan Fair? There would be classes to compete in and awards given for winners in each. Post here if interested in participating. If there’s a class for a fan that looks like total junk surprised it even runs, then I have a 16” Century to throw in the mix. This thing is pitiful but spins like crazy. Kim how about a Emerson vs. GE competition? Could be divisional with 12’s and 16’s. I have a 16 that is on nos. Run what you brung…...my guess would be size class, desk fan class, ??? If you want to participate, post it here. If no interest, then we won't do it. Count me in, I might as well further humiliate myself! Rick Powell wrote: Count me in, I might as well further humiliate myself! When it comes to looking stupid, if I can’t be first I’ll sure as heck be next. I’m in. Any size or make of fan will do? 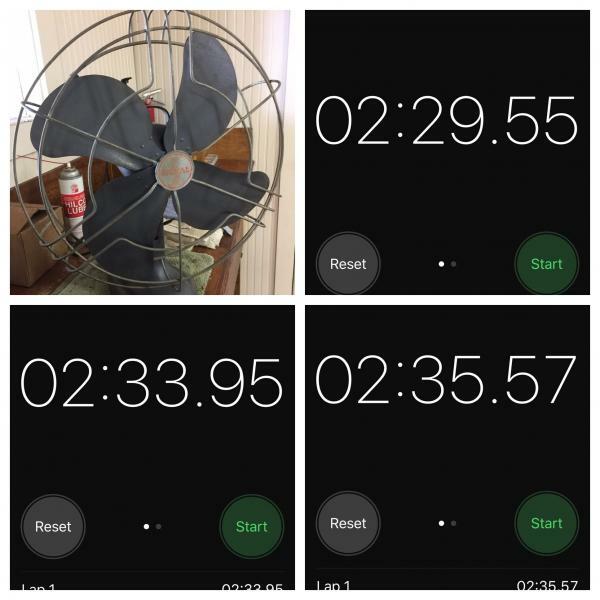 I have an early 1960s Eskimo 3 speed box fan that has an incredibly long spindown time, a whopping 75 seconds! Greg Mauer wrote: Any size or make of fan will do? I would think there should be classes. 12 inch against 12 inch, 16 inch against 16 inch, and so forth. I'm open to suggestions. We're just trying to see if there is an interest. If not, we won't do it. If you have a fan and want to participate, post on here. I would be interested in a 20"+ size category. Greg Mauer wrote: I would be interested in a 20"+ size category. Me too if I can get a ride down to Indy to attend as I really want to attend fanfare, just not comfortable with driving around Indy by myself, but if I can get a ride with someone I have a fan I could enter. Cool. I have a 1905 12 inch trunnion cake that I'll enter. So what I see here is Levi, Greg, Rick, Steve B., Steve D., and myself so far. If we can get a few more, I bet Steve Sherwood would organize this for us. Meet “Bertha” Emerson 26648 ready to compete. Meet big blue! 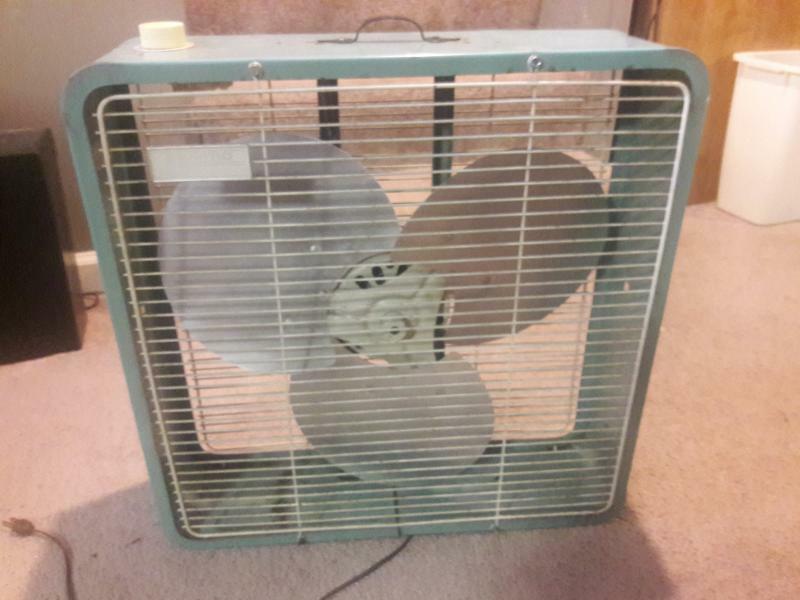 This is my 20" Eskimo box Fan I rescued from the junk heap at goodwill when I worked there she has the longest spindown time of all of the fans I own, tabletop or box fan models, I recorded a spindown time of 75 seconds on it which has Kim's pancake beat by 3 seconds. Never underestimate a dimestore fan! I won't even hint at Kong's spin down time! Greg Mauer wrote: I won't even hint at Kong's spin down time! I bet I have a contender for the spindown contest here! Might be disqualified though for having more than a 1-phase motor. That is some pretty serious spin down time, David. David Allen wrote: I bet I have a contender for the spindown contest here! Might be disqualified though for having more than a 1-phase motor. I'd be more concerned about all the smaller fans and the tables getting blown away in the event center! 5 seconds to get up to speed then turn it off . Charlie Forster wrote: 5 seconds to get up to speed then turn it off . That's got to be hilarious! Imagine the scandal if..... someone were busted with BATTERIES... hidden in the base! it could be done if someone wanted to cheat. Hopped up ones and and a duel between the two winners. I did hear that George D. is going to couple a fan to that walking beam meat cutter he cant sell. Iherd he was going to have the walking beam hid under the table and activate it with the foot.! Levi is that the blade I gave you on that Eskimo box fan? No, I used it as an example to get my original blade straightened out because I couldn't get the rust off the blade hole. put it in the elctraliss for a while and it will come clean. So Greg, Levi, Charlie, and David. Can I put it down that you guys are coming to Fan Fair and entering the spindown contest since you're posting on this thread? Kim Frank wrote: So Greg, Levi, Charlie, and David. Can I put it down that you guys are coming to Fan Fair and entering the spindown contest since you're posting on this thread? I'm trying to locate a ride to make it down there as I've never driven around Indy before and don't know how it would work out for me to drive around in Indy traffic by myself. I think I might have a ride but I need to know the dates of when fanfair is happening to know if the person I've asked could actually take me or not. Charlie Forster wrote: ...if someone wanted to cheat. my ideas. Posts 6 & 8. 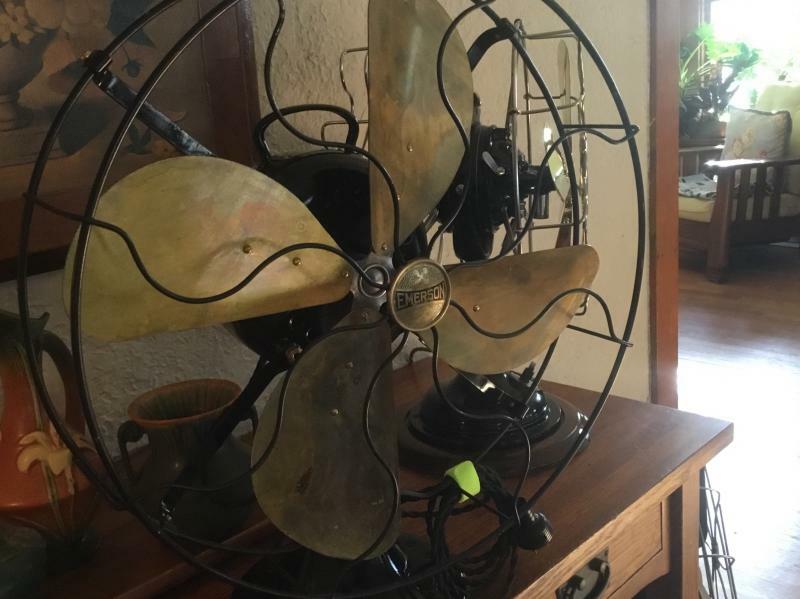 No way Jim each fan will be brought to the same rpm then the switch will be turned and that will disconnect your fan from the power and at the same time the clock will be energized for the count down. Can’t attend, but I wonder how this original 16” Signal 1251 would fare. The best spin time of any of my fans! Since you can’t attend may I borrow your fan? Page processed in 4.0704 seconds (95% database + 5% PHP). 37 queries executed.